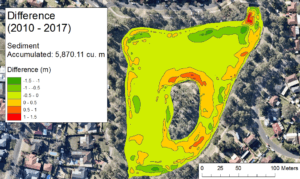 Bathymetry mapping is a tool to help with the management of lakes, ponds and wetlands. We can create bathymetry maps using an acoustic sounding device linked with global positioning systems (GPS). This service provides a visual image of the depth and contour of the water body in the forms of GPS surface mapping, bathymetry and colour 3-D contour imaging. Raw sonar data is uploaded to specialized software to produce bathymetric and relative sediment hardness maps. These maps provide a snapshot of the current water depth and sediment distribution and can be compared with past bathymetry surveys to help determine areas of sedimentation, monitor success of dredging projects and provide accurate volume calculations. We undertake the survey by kayak or motor boat and the data is relatively quick to collect. The speed at which we can complete a survey is a major advantage over conventional methods. Incorporate into outdoor signage, ie., alert the public about water depths, erosion hazards and water hazards. Obtaining volume calculations for water quality treatment (MUSIC) and hydrologic balance assessments (residence time). Sediment mapping uses software algorithms that evaluate the acoustic reflectivity returning from the bottom of the water body to the sounding device to create a relative bottom hardness output. From this we are able to generate a map showing the relative hardness of sediment throughout the water body. Monitor success of dredging project. If you would like to receive a quote, we will need to know the lakes, wetlands or ponds to be mapped, and whether your require bathymetry and/ or sediment mapping. 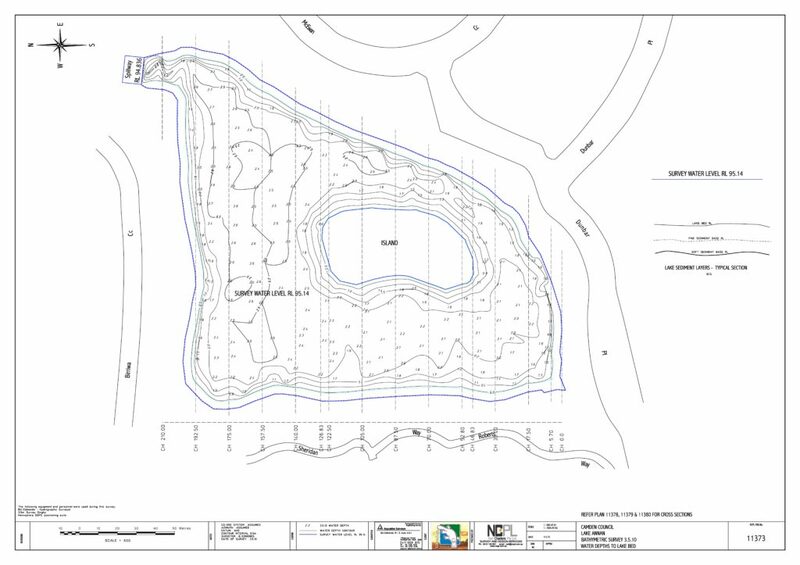 The maps provided by Harris Environmental Consulting are for informational purposes only, designed to be used by our clients to evaluate their lakes and ponds to better understand the characteristics of these water bodies and properly plan for achieving their management objectives. We are not licensed surveyors or engineers and our maps are not designed to delineate property lines or legal boundaries of any sort, nor should they be used for any purposes related to circumstances for which a licensed surveyor or engineer is required. For those clients whose work would legally require stamped drawings from licensed surveyors or engineers, we have strategic partnerships with survey and engineering firms with which we can work to help you meet your overall objectives.